Despite our best intentions, sometimes long-term reviews can get derailed. And in the case of the Quintana Roo PRthree, we faced quite a few challenges throughout the review process. Let’s just say Ironman prep, injuries, and some seriously bad summer weather made getting time on the PR3 more of a challenge than we’d hoped. But like many of you, we don’t quit easily. And with a bit of creative planning, we were able to spend some quality time with the PR3 and are finally ready to share our thoughts. When we shared our First Thoughts on the PRthree, we noted that it featured trickle-down technology from the PRfive and PRsix at a much easier to swallow price point. This includes “Shift” technology, Boat Tail Airfoil, the QBox storage system, and more. In other words, you’re getting quite a lot of bang for your buck. And that’s music to the ears of age groupers looking for a high-performance bike. Oh, and back to that price point—the PRthree will set you back $2,600 for non-race, if you’re planning to purchase race wheels on your own, or $3,700 for the race version (includes 50mm deep Novatec R5 Carbon aero clinchers). 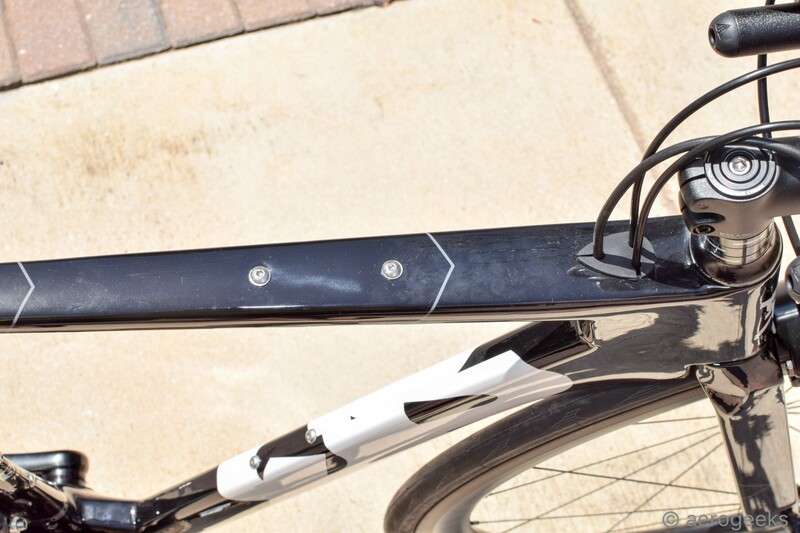 Before we share our experiences on the bike, here’s a quick review of the PRthree’s tech. 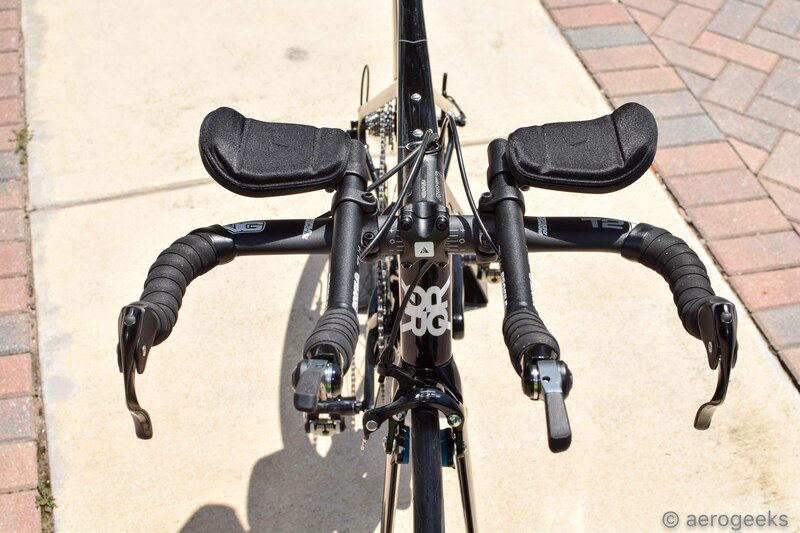 First introduced in the CD0.1, QR’s shift aero design leverages an asymmetrical downtube to redirect airflow away from the “dirty” side of the bike (the driveside) to the “clean” side (the non-drive side). 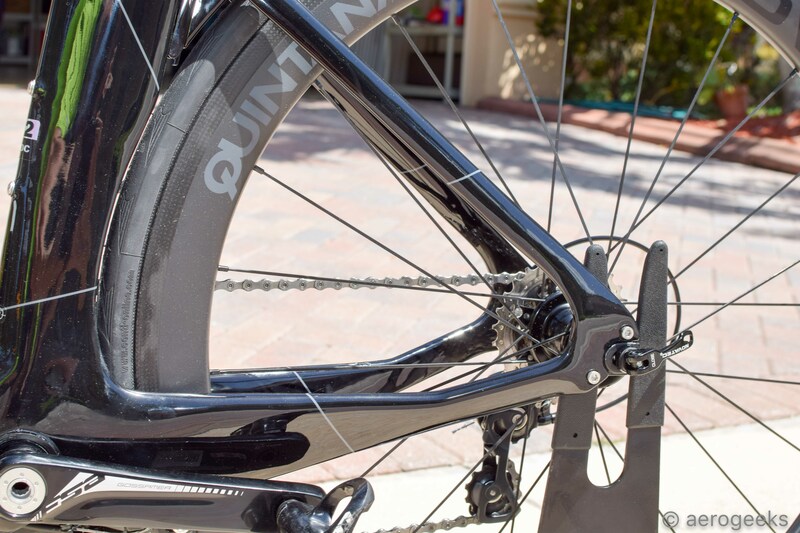 According to QR, this minimizes drag, resulting in a bike that’s both more stable and more aero. What does this mean for you? You’ll use less energy on the bike and can use it on the run. 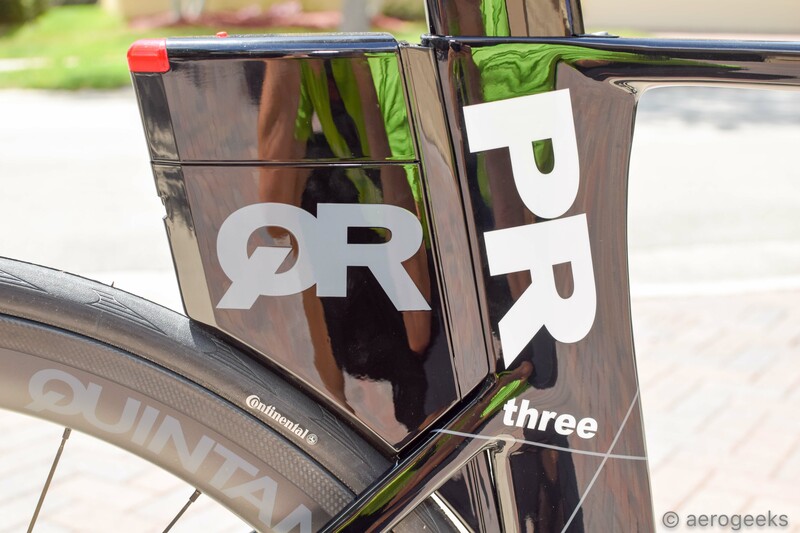 At the back of the PRthree is the QBox, QR’s storage system that also helps improve the bike’s aero qualities. It’s also is equipped with a safety beacon that can be easily turned on and off without leaving the saddle. The QBox provided us with plenty of storage, but we didn’t find the integrated light to be bright enough on its own. We still felt the need to use additional lights for those early morning and nighttime rides. 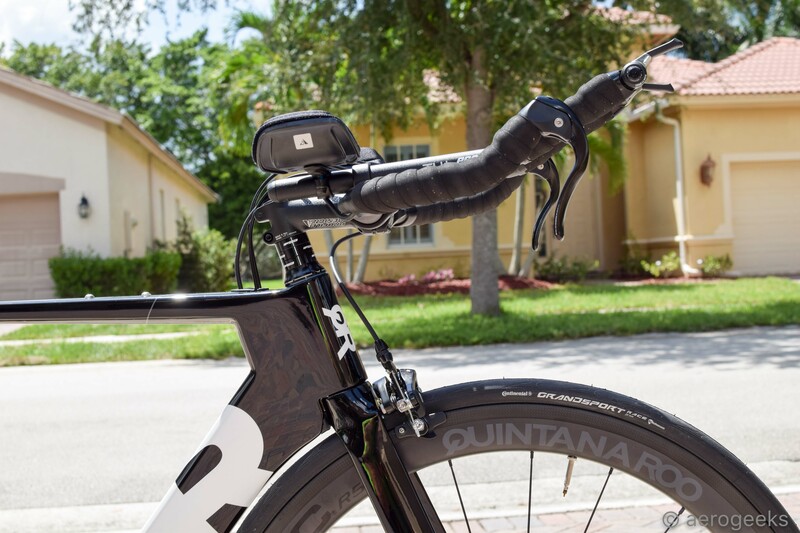 QR is a company that gets triathletes, which means they know that many of us travel with our bikes. And for those of us who do, one of the big selling points here is that the PRthree can be built back up with just two Allen wrenches. Not needing a degree in engineering to build up your bike in your hotel room? That’s one less thing to worry about during race travel (and if you’re a frequent race traveler, we really definitely recommend the Silca Ti-Torque for handling those race traveling needs. Throw this in your bag along with your wrenches, and that’s all you’ll need to build up your PRthree). Now, remember our trials and tribulations just to get some ride time on the PRthree? Well, let’s just say this bike was worth the wait. We always found ourselves smiling when we got it out on the road. The PRthree is lightweight, stable, and responsive. We also felt incredibly comfortable with the fit, leaving our legs fresher for a run off the bike. All in all, much of what we’ve come to expect with QR—and that’s not a bad thing. We felt relaxed in the aero bars, yet confident in the bike to respond to a quick turn when called upon. Speaking of “not a bad thing,” let’s revisit that price. You can pick up a non-race PRthree for just $2,600, which includes a Shimano 105 premium mix—the “mix” being a FSA Gossamer Pro 52-36 crankset. We think that’s a pretty solid build for your money. You can also pick up a PRthree with a set of Novatec R5 Carbon aero clinchers for an additional $1,100. However, there are several good options out there from Flo and others at an affordable price, so there are definitely alternatives to consider. As far as reviews go, the PRthree had been with us a long time. Definitely longer than planned. But what better way to get to know a bike? It had become a welcome site in the AG office. As we boxed it up recently, we missed it already. It could truly be described as the best of both worlds—a lightweight, highly responsive (and just plain fun) bike that can help you speed your way to the podium, all for a price that won’t break the bank. 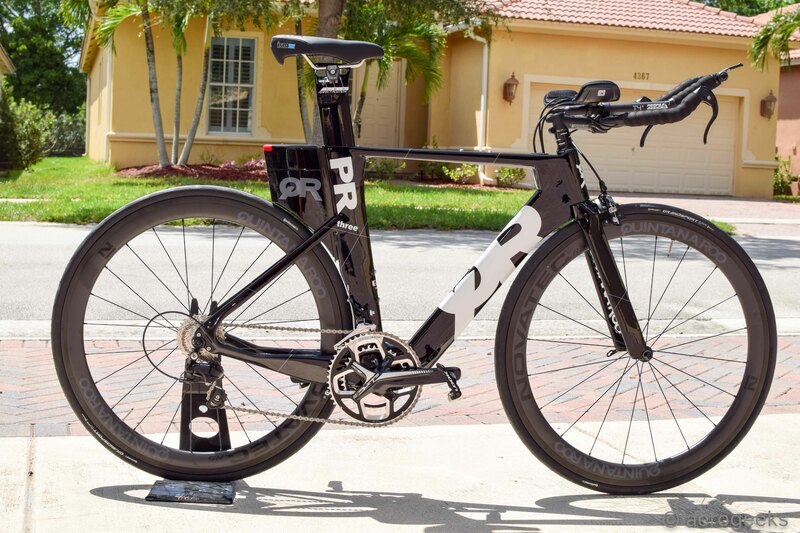 The PRthree is a solid bike for those looking for their first tri bike, or even as an upgrade. After all, you’re getting some of the same kind of tech you’d find in bikes that are several thousand bucks more. If that’s not a “ride it like you stole it” kind of opportunity, we don’t know what is. Is it worth getting the PR3 coming form the CD01? I am no podium finisher. I’m probably a bit below the middle of the pack in my age groupat best. But I love joining races and I especially love the bike leg. Is it worth the extra $$$? New bikes are never a black and white call. It comes down to the best value for your gains. We always suggest proper fit, aero helmet, and wheels as the first expenditures. The bike becomes the next step when you have either determined you cannot fit on your current bike or you have exhausted all of the easy transferable purchases. 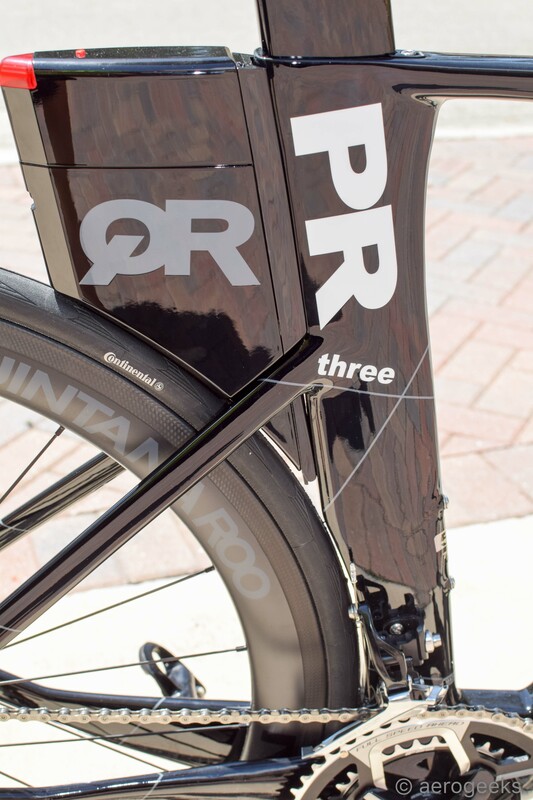 That being said as being previous owners of the CD0.1 – the PR3 is a great step up and a fantastic bike.